Cheap return flights from Zurich to the Hawaiian islands from €490! Another interesting promotion from Europe to Hawaii today this time discounted return flights from Zurich! Flights are not that cheap as in case of departures from Italy on the other hand you can visit all the most known Hawaiian islands. Based on SkyTeam promotion (Air France-KLM and Delta) you can book return flights from Zurich to Honolulu, Lihue, Kahului or Koa from €490. This is incl. all taxes, onboard meals but exluding checked luggage. You can also consider open-jaw flights which is great way to visit more isles at once. (However you would need to book additional one-way flight between the islands). *UPDATE*. : Adding some great option to Alaska now available from €495 also in spring 2019! Air France-KLM discount is perfmitted for flights departing from Zurich to Hawaii from 1st of November 2018 to 30th of June 2019. (Also latest date of your inbound flight from Hawaii back to Europe). Max stay 3 months. Book this promotion by end of October or until sold out..Want to secure your hotel roomi in Hawaii we recommend Booking.com or Hotels.com. Please refer below to our booking samples on each of routes available. 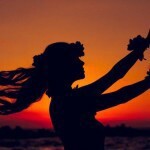 Booking sample of Cheap return flights from Zurich to the Hawaiian islands from €490! In this case you would fly to Honolulu on board of Air France and Delta. Outbound flight from Switzerland to Hawaii on 3rd of February and inbound from this tropical archipelago in North America back to Zurich on 17th of February 2019.